On this course you will prepare for a career in your chosen uniformed service and develop vital skills, including leadership and emergency planning and response. You will also be involved in outdoor activities such as hillwalking or climbing. You will practise map reading and expedition skills, and there are opportunities to improve your fitness in sports and training activities. You will also investigate the roles of different Uniformed Services and the work they do. You will take part in visits to the different services and gain knowledge to help you in your chosen career path. You will have the opportunity to take part in work placements, trips, visits from guest speakers and more. In your final year you will have the chance to attend a glittering Mess Dinner. Completion of this course can lead to an Apprenticeship, university or employment in the sector. There is a uniform which comprises of a training top and jacket. Students should also have access to walking boots and waterproof jackets. 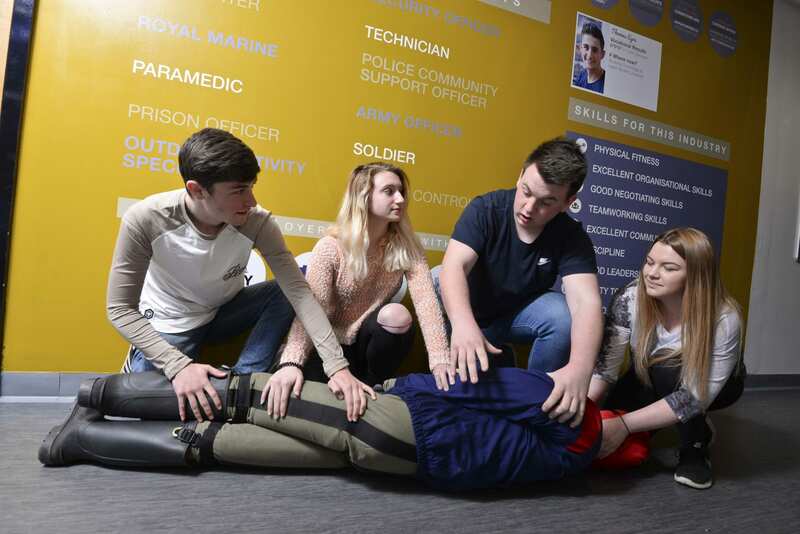 The College actively promotes careers in the uniformed public services and trips and visits are a mandatory part of this course, as well as a 5 day residential work experience with the Army.